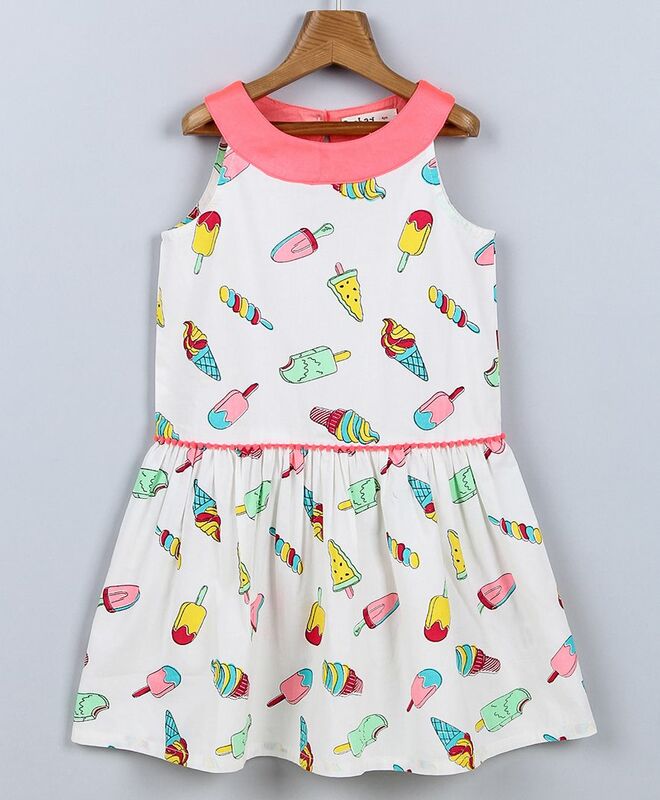 Beebay presents comfortable sleeveless dress for your little girl. Ice-Creamt print makes it look attractive. Made from soft 100% fabric, this regular-fit frock has a front button closure.